Diva Frame Wallet . 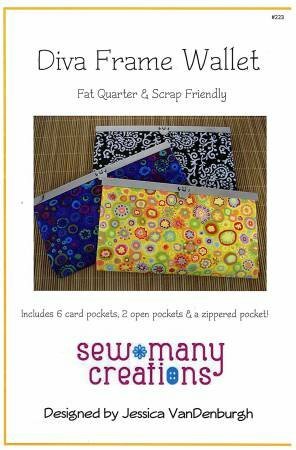 Inside is a zippered coin pocket, 2 open pockets and 6 individual card pockets. The metal frame closure is the perfect finishing touch. Pattern and additional supplies required.